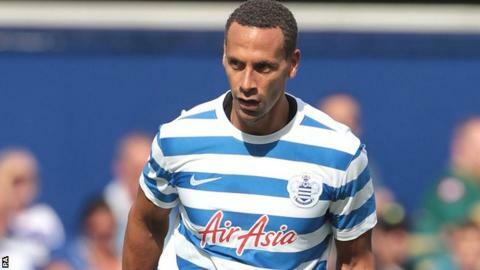 QPR defender Rio Ferdinand has been charged with misconduct by the Football Association for a social media comment. "It is alleged the comment posted on his Twitter account was abusive and/or indecent and/or insulting and/or improper," an FA statement read. The charge is believed to relate to Ferdinand's use of the word 'sket', "a promiscuous girl or woman" according to Collins English Dictionary. The former England international, 35, has until 21 October to respond. Ferdinand wrote the tweet thought to have led to the charge on 1 September in reply to a message sent to him suggesting his team needed a new centre-half. He was tagged in a message that read: "Maybe QPR will sign a good CB (centre back) they need one" and wrote back: "get ya mum in, plays the field well son! #sket" - a Jamaican slang word. Ferdinand, who made the last of his 81 appearances for England in June 2011, is a member of FA chairman Greg Dyke's commission looking at how to improve English football. The ex-Manchester United centre-back has sent more than 14,000 tweets since joining the social networking site in 2010.